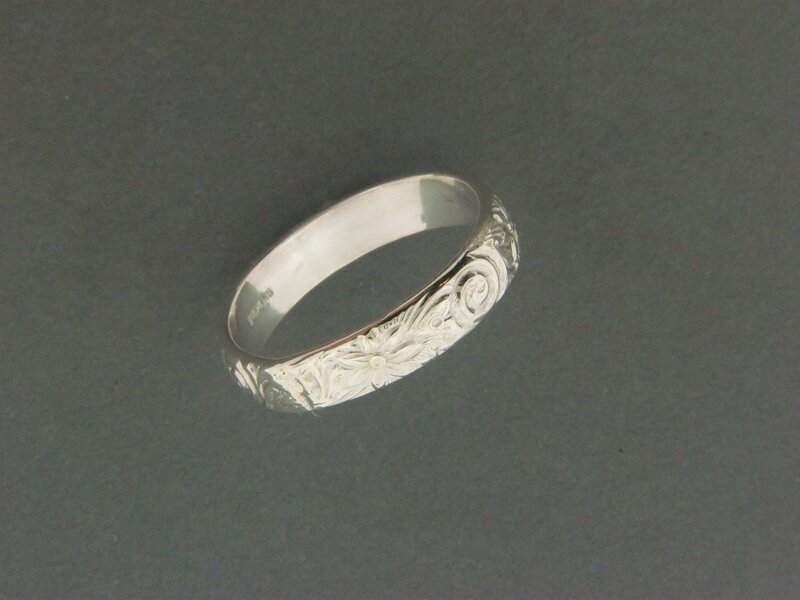 Handcrafted sterling silver .925 swirl print ring. Design is achieved by metal going through a rolling mill press. This design goes all the way around.